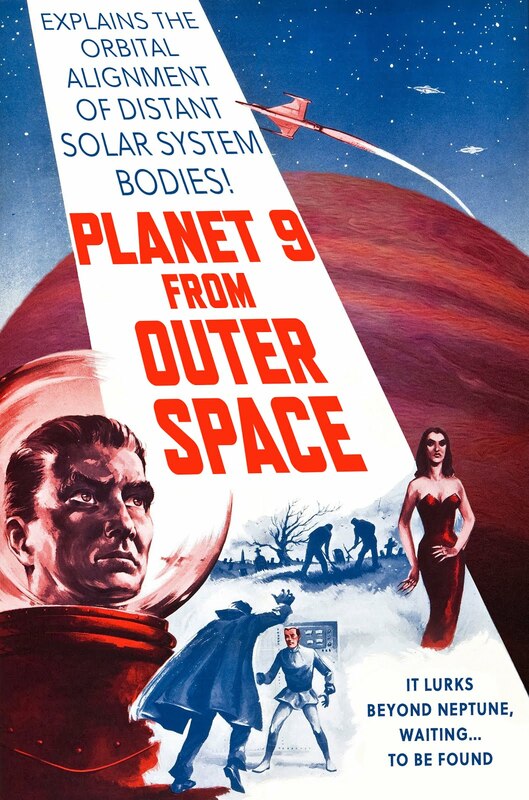 We haven’t found Planet Nine yet, in case you were wondering. To date, the telescopic searches have really just begun to scratch the surface of the area that needs to be scanned, and, while clever new projects to find Planet Nine with different techniques have been proposed, most of these efforts are just getting underway. But don’t worry: the new season of Subaru searching starts tonight! With good weather, we should be able to scan a significant part of our search area. Stay tuned. 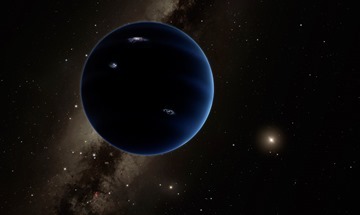 To get ready for this new season of searching for Planet Nine, we have spent most of the last year developing our understanding of the way that Planet Nine interacts with the rest of the solar system. Much of this has involved large amounts of analytic and computational work to figure out what the orbit of Planet Nine looks like and where in its orbit Planet Nine is. If we could figure that out perfectly, we could simply go out tonight and point our telescopes right at it, as was done for the discovery of Neptune in 1846. Sadly, we have less information on Planet Nine than Le Verrier did for Neptune in 1846, so we’re not able to pinpoint it just yet, but we are able to constrain what the orbit looks like and, thus, where we should look. I suspect that most people don’t really care to know the details of how we’re trying to figure out where Planet Nine is. But one group cares a lot: the other astronomers actively looking for Planet Nine. Since our first prediction of the existence of Planet Nine, we’ve tried hard to keep anyone who wanted to know up to date on where we think the best places to search are. The more people who are involved in looking in the more different ways, the more quickly Planet Nine will be detected, so part of our work of trying to figure out the orbit of Planet Nine is for the sake of all of these other groups. To understand where we think Planet Nine might be right now, we need a long digression on orbits (if you’re intimately familiar with Keplerian orbital elements or simply don’t want to know, please skip ahead!). All objects in the solar system travel on elliptical paths around the sun, with the sun at one of the foci of the ellipse. If you’re on the Earth looking at the sky, however, the path of the orbit doesn’t look like an ellipse, it simply looks like a great circle across the sky with you at the center (on Earth, a great circle is like a line of longitude, or like the equator; lines of latitude that are not the equator are not great circles; it works the same in the sky). If I want to describe the orbital path of Planet Nine, then, I need to tell you where this great circle is. To describe any great circle, you only need to know two numbers. There are many different ways to define these two numbers, but we will use (1) the longitude where the great circle crosses the equator (which on the sky we just define to be the extension of the Earth’s equator) when it crosses from south to north (all great circles cross the equator twice 180 degrees apart, so we had best specify which of the two we mean), and (2) the angle that the orbit makes with respect to the equator when it crosses the equator. In celestial mechanics, these two numbers are called the longitude of the ascending node (ascending = south-to-north; get it?) and the inclination. If we knew these two numbers perfectly we would know the exact path that Planet Nine takes across the sky. (The motion of the Earth complicates things a little, but because Planet Nine is so far away we can mostly ignore those details.) If we wanted to point a telescope directly at Planet Nine, all we would need to know are the longitude of ascending node (which I’ll just call “node” from now own), the inclination, and (3) where within the orbit the planet is. We’ll call this last parameter the orbital longitude and simply define it as the longitude in the sky where the object is (this definition is not the norm of celestial mechanics, where instead you’ll get mean anomaly or eccentric anomaly or other more complicated things; we’ll stick with this easier to understand version). While the first three parameters tell the path across the sky and where the object is, they don’t tell you anything about the shape of the orbit or how far away the planet is (which we care about because that helps us estimate how bright it should be and whether or not it should have already been spotted in parts of its orbit). We know that Planet Nine goes in an ellipse around the sun. The shape of the ellipse is completely specified by (4) knowing the average distance of the object from the sun and by (5) a number from 0 to 1 which defines how elongated the object is (zero means it is a circle, 1 means it is so elongated that it never closes back in on itself). We call these semimajor axis and eccentricity. You need one last number. While we now know the shape of the orbit and the orbital plane, we are still don’t know how the orbit is oriented within its plane. We can specify that by (6) determining the longitude when the orbit comes the closest to the sun. We call this last parameter the longitude of perihelion (this is a bit of a simplification, but an unimportant one). The figure below illustrates what it means to keep (1)-(5) fixed and only change the longitude of perihelion. The shape and orbital plane of the planet are fixed, and we are simply spinning the orbit around on its axis. Those are a lot of things to learn if we want to find Planet Nine. Here’s how we’re making progress. The easiest orbital parameter for us to extract is the longitude of perihelion of Planet Nine. Why? Because the main observable effect of Planet Nine is to capture distant eccentric Kuiper belt objects into orbits which are what we call anti-aligned with Planet Nine (see the illustration at the top of the page!). “Anti-aligned” means, precisely, that the longitude of perihelion of the Kuiper belt objects is (on average) 180 degrees away from that of Planet Nine. We now know of about 10 of these anti-aligned objects, so can look at their longitudes of perihelion and get a direct estimate of the longitude of perihelion of Planet Nine (if you care about the details: we actually exclude the two most recently detected objects as they came from the OSSOS survey which has been shown to have striking biases in the objects that it finds). When we do this, we find a value of 235 with an uncertainty of 12 degrees. This is a great start, but we have 5 more parameters to go (and longitude of perihelion doesn’t actual help tell us the orbital path through the sky). In our second paper about a year ago, we used a suite of computer simulations to see how Planet Nine would affect eccentric objects in the Kuiper belt if we varied all of the other parameters. We found some key results. If Planet Nine comes too close it tears up the Kuiper belt. If it stays too far away it does too little. If Planet Nine is too inclined it has only a small effect. Those constraints help on everything except for the node of Planet Nine and the actual longitude of Planet Nine. Without the node, though, we really have no constraint on the orbital path at all! We made some estimates by using a different quantity, but those estimates were the least satisfying part of the analysis. Nonetheless, those led to our best estimates of where to look, and the picture that you have all seen here. Since that last paper, though, we have learned a lot more about the physics of how the gravity of Planet Nine affects the orbits of distant objects in the Kuiper belt. Luckily, one of the things we now understand much better is how to constrain the node of Planet Nine. Early on, we recognized that all of the distant eccentric Kuiper belt objects had similar longitudes of ascending node, and it seemed clear that these must be related to that of Planet Nine somehow. With some even more realistic follow-on computer simulations we realized that what we had surmised was right: the distant eccentric Kuiper belt objects have the same average node as Planet Nine. Planet Nine partially pulls these distant objects into its own orbital plane. But only partially. The distant objects, on average, do not have the same inclination as Planet Nine. The distant objects live in an average orbital plane that is close to midway between that of the 8 other planets and Planet Nine. Though this result is simple to state, a lot of work (or perhaps a lot of electricity for computers) went in to that statement! And the good news is that can now estimate the node much more precisely. If we take those same eccentric distant Kuiper belt objects and look at their nodes, we find that Planet Nine has a longitude of ascending node of ~94 degrees. The average inclination of those objects, by the way, is 18 degrees, so we know that the inclination of Planet Nine is higher than this, but not much higher, because otherwise, as we found earlier, it doesn’t make an anti-aligned population. I know, I know, saying that we now know the longitude of ascending node of Planet Nine does not sound exciting to most people. But we have reduced the uncertainty on this parameter by a factor of 5, which is essentially as good as having done a search of 80% of the relevant sky! OK. Sort of. Now, if you’ve been paying close attention, you know what I want to know next. We only have general constraints on the inclination of Planet Nine, and we have no real constraints on the longitude. How are we going to find those? I think the solution is doing the same sorts of computer simulations but sort of in reverse. We have been doing new computer simulations where we take the ~20 known objects whose orbits are thought to be affected by Planet Nine and we have put them into their current positions in the solar system today. We then put a Planet Nine in and watch what happens. Sometimes the simulated Planet Nine sends everything flying. Sometimes after a billion years the solar system looks close to the same as it does today. We learn general things: large inclinations are bad, having Planet Nine too far away doesn’t make a powerful enough effect. How exactly to balance these constraints is not yet obvious, but through about a 100 trillion cumulative years of simulating the real objects in the outer solar system I think we’re getting close. In my perfect fantasy world these latest simulations will tell us more or less where Planet Nine is and we will simply go look and it will be there as Neptune was. Probably that is asking too much of reality. But we’re going to give it a try. In the mean time, we are slowly narrowing down the region of the sky in which we need to search. If you're looking for Planet Nine, go look there!